Periodically, some of the partners at Volition will do network television spots on shows related to business and technology. Today, I paid a visit to 30 Rockefeller and the MSNBC studios to participate in J.J. Ramberg’s show, “Your Business” (also author of It’s Your Business). 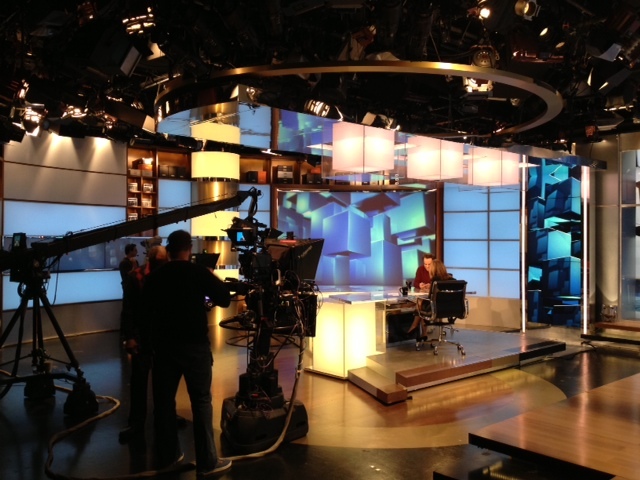 The show won’t air until later, but this will give you a sense of what happens behind the scenes. People often ask me whether or not I know what questions will be asked before going on the show. In general, I know the topics that will be discussed, but the questions actually asked are far more fluid. So, generally I prepare comments around the topics and then hope that the questions asked align with what I’m prepared to talk about. If not, winging it is the only option. But, the preparation still helps to think quickly. It’s always a bit intimidating when you arrive at the studio, and you realize it’s the same studio used to tape all of the same shows you watch on TV. 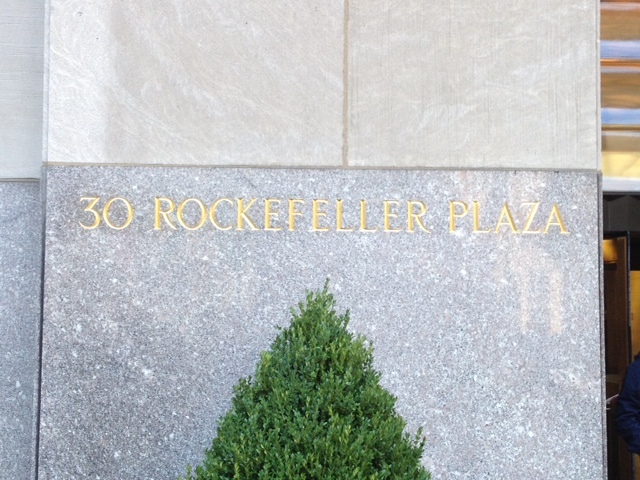 In this case, the studio for MSNBC is at 30 Rockefeller. The Today Show was taping when I arrived. And, no, I did not run into Tina Fey. After making it through security, I’m ushered up to the green room. 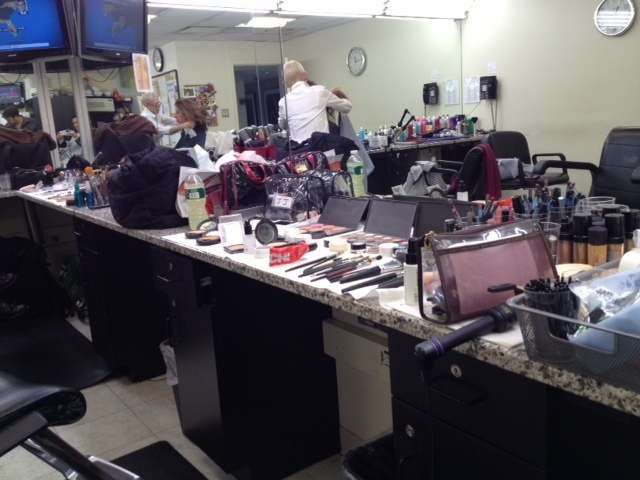 Before I visited a green room, it sounded like a fancy place where the big TV personalities hang out. In reality, it can be a rather humble room in some cases. Typically the show that you will be participating in, if it’s a live show, is playing in the green room so you can get a feel for what’s going on. I didn’t appreciate how important make-up is until I saw myself on TV without make-up. Not a pretty sight. It’s non-obvious when you’re watching a show, but everyone on camera has substantial make-up on. It looks normal on TV – it looks abnormal in person. If it’s a live show, typically I get brought into the studio during a commercial break and have less than a minute before we go live. It’s somewhat nerve rattling that right after the technician gets your microphone hooked up, you hear someone else counting down, “In 5, 4, 3, 2, 1…” Today, it was a taped show, so there was a little less pressure. When we’re on air, we’ve been coached not to look at the camera. We’re supposed to ignore the cameras and simply have a conversation with the host and any other folks on the panel. You can see all of the final segments on Volition’s “On Air” section of our website. That’s the whole process in a nutshell!